A great potato crop is guaranteed - and they're so much easier to harvest than when you grow them in the open ground! Measures 60cm (24") diameter x 41cm (16½") high. 115 litres. Large fold-up planters that you can use anywhere! Robustly made, for use year after year! 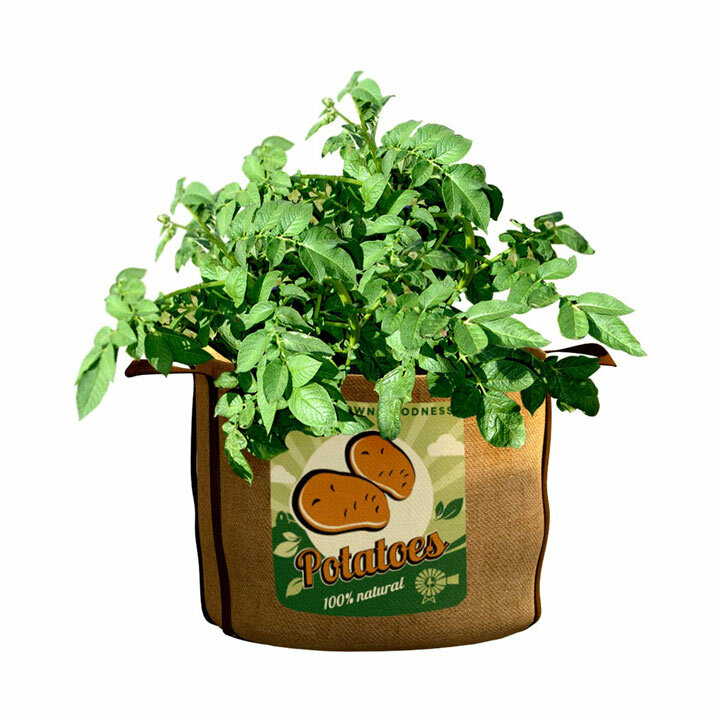 These funky, "retro", portable planters are ideal for deck, patio and balcony gardening. 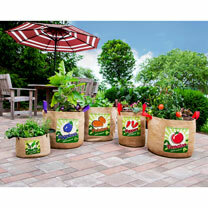 Just fill them with potting compost at the start of the season, and add your plants or seeds. 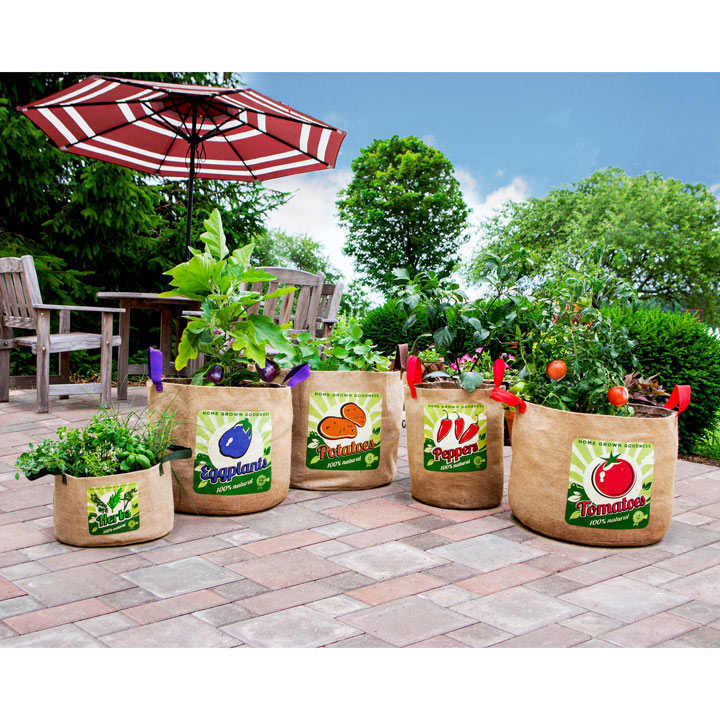 They have rugged, reinforced seams for added strength, carry handles for easy transportation and reinforced drainage holes to provide adequate drainage, plus the all-natural jute fabric is lined with a poly sheet for improved water retention. Then simply empty them out at the end of the summer, fold them up and put them away for the winter, ready to use again the following season! Planters that can be used anywhere!